Give one copy to each ss. First, they have to complete the missing vowels, unscramble the days of the week and finally cut out the four ships they have at the bottom of the page. 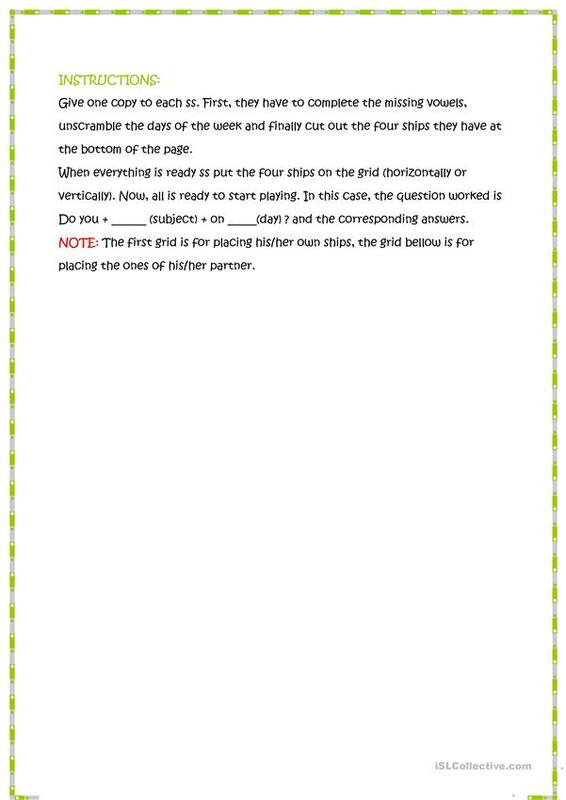 When everything is ready ss put the four ships on the grid (horizontally or vertically). Now, all is ready to start playing. In this case, the question worked is Do you + ______ (subject) + on _____(day) ? and the corresponding answers. 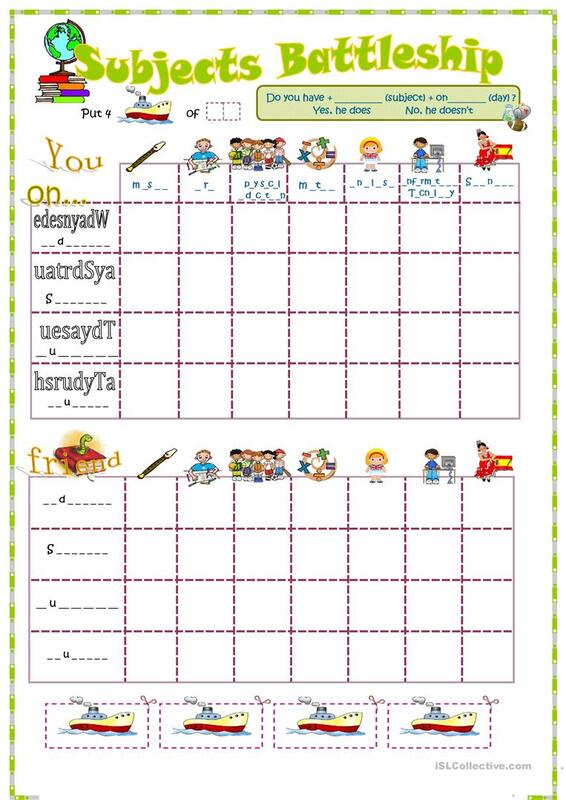 The present printable, downloadable handout is a great resource for elementary school students at Beginner (pre-A1) and Elementary (A1) level. It was designed for developing your class' Listening, Spelling and Speaking skills.